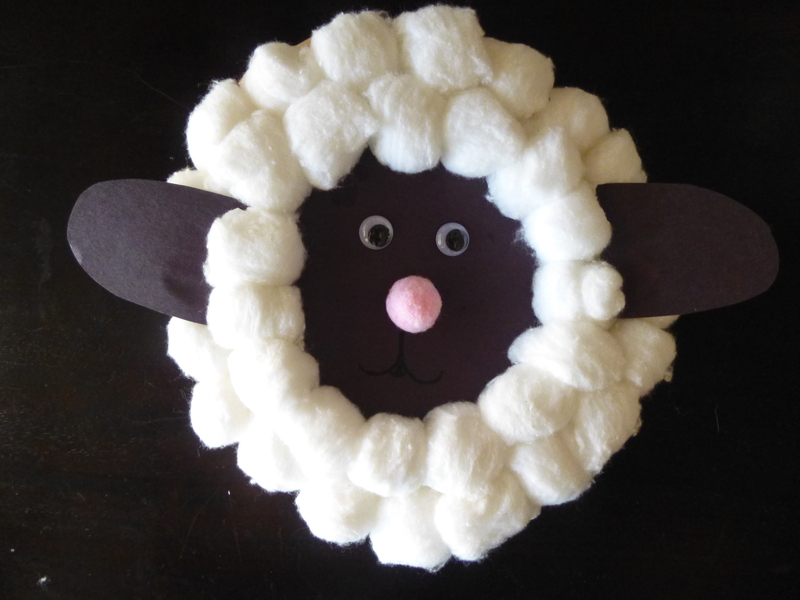 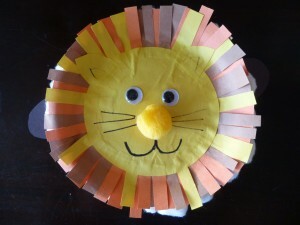 For March we did this lion/lamb paperplate craft to go with the saying “In like a lion, out like a lamb.” We did the two animal faces on either side of the same plate and then hung them up so they could spin around. The girls like activities that involve pasting so this was a big hit, although they did start to get a little tired so we took two days to get it all together. 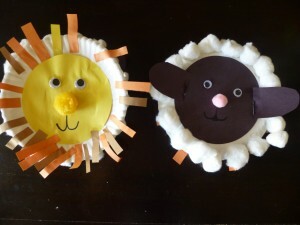 Giving some time for the lion side to dry before starting the lamb face, also helps keep it from getting too wet and heavy.